China Glass 2019 will be one of the biggest glass industrial trade fairs for its more than 100,000 square meters exhibiting area scale. 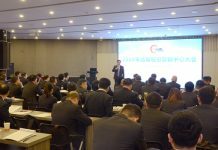 Big brand manufacturers from home and abroad will showcase on this event, including China Building Materials Academy, Triumph Group, China Glass Holdings, CSG Holding, China Yaohua Glass Group, Jinjing Group, Shanghai SYP Glass, Kibing Group, Luoyang Float Glass Group, Hebei Yingxin, Ruitai Materials Technology, Taiwan Glass, Xinyi Glass, Shanxi Lihu, Shahe Glass Group, Luoyang North Glass, Mingte Glass, Land Glass, LiSec, Glaston, Bystronic, AGC, Von Ardenne, Vesuvius, SEPR, Dip-tech, etc. 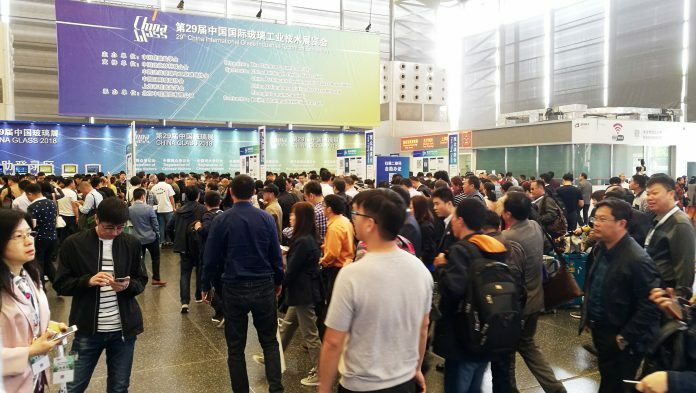 Many manufacturers in the fields of glass processing and glass production and applications have asked for increasing booth area to showcase their new machines and products, including Kibing Group, Xinyi Glass, Tianjin Dinganda glass, Shandong Fangding Safety Glass, Hangzhou Yugong smart machinery, Anhui Jingling Glass Machinery, Bengbu Chaoyang Glass Machinery, Luoyang Gangxin Glass Technology, Luoyang Fuchong Machinery, Foshan Shunde Lifeng Machinery, Jinan Lutai Machine. With three state pavilions organized by BMWI, VDMA, ICE Italy, GIMAV-VITRUM and Dam Associates Inc. The Chinese market is attracting global attention. A professional glass trade fair, China Glass 2019 will set 6 theme areas including international pavilion, glass sheet production, comprehensive manufacturer, processing machinery, raw materials and hardware accessory. 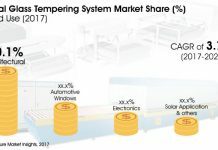 China Glass 2019 will keep abreast of market trends and showcase innovative glass products, products and cutting-edge intelligent manufacturing technologies and equipment from domestic and foreign manufacturers. The 30th China International Glass Industrial Technical Exhibition (China Glass 2019) will be held at the China International Exhibition Centre (new venue) in Beijing from 22-25 May 2019.